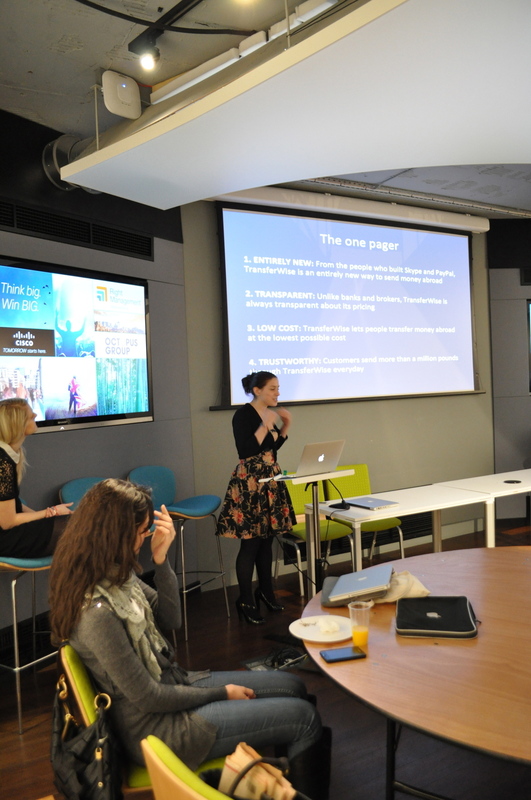 Our social media and PR breakfast was held at IDEA London, the beautiful new space set up by UCL, Cisco & DC Thompson. The first real cold day of winter, over 40 of us came together to learn all about social media from a startup perspective, when thinking about content strategies and looking at the best PR to launch your business. First up was Shara Tochia, the founder of Fitness Freak. From Day 1 of setting up her business, she's used social media to build her community and awareness of the brand. Shara's top tip - don't ignore Linked In! She's had tonnes of traction from posts on there. Second was Adele Barlow from Escape The City. She was key in growing their community to the 350k strong user base it is today. Looking more at overarching strategy and how you can use content to create a long tail affect of bringing users to your platform. Adele's top tip - think about WHY you do what you do, this will differentiate you long term over all your competitors. Last up was Donata Hugigns from Transferwise. An ex-journalist she knows how to cut to the chase of what a startup needs. Always looking to maximise any opportunity, Transferwise have been making the most in PR off the back of their recent ad campaign. Donata's top tip, always keep in mind the 4 key messages you would want a journalist to take away from talking to you and then keep pushing to talk to them - again and again and again and again and again and again and again and again and again. That's all for this year from us. We're going to be doing a planning sesh for next year on the kind of topics you want us to cover so look out for the email to come join.